Phil Moad, Digital Marketing Lead at Calgary Stampede, joins the Social Pros Podcast to discuss promoting large scale events and the important role of volunteers. If your company regularly hosts and promotes large-scale events, it only makes sense that you would have a staff large enough to accommodate your needs. However, if you only host one or two major events per year, how can you maintain a team large enough to handle the events, but not have paid staff sitting on their hands the rest of the year? As Phil Moad of Calgary Stampede has proven, volunteers are the way to go! With their main event hosting over a million attendees each year, he has proven that a smaller staff augmented by volunteers is an extremely effective way to scale up for the occasion. Not only can volunteers help you to augment service based tasks, but they can be an invaluable asset when it comes to social marketing and engaging with your audience. With a little bit of training and the right resources, your volunteers can help you exponentially grow your reach and engagement. Look to your audience! If something doesn’t align with who your audience is and what they want, it likely won’t work. Since he just got to have his conversation with Jay, Phil’s next person he’d like to talk to is Donald Trump so that he can get to know him a little bit face to face! Jay Baer: Hey everybody. It's Jay Baer, founder of Convince and Convert. Welcome to Social Pros. I'm here as always with my special Texas friend. He is the executive strategist of Salesforce Marketing Cloud. He is Mr. Adam Brown. Adam, what is going on? Adam Brown: Well, you know Jay, as you said, I'm your special Texas friend, so I'm wearing cowboy hats and boots today, but not just because I'm in Austin, Texas, but because of our guest this week. Jay Baer: He is. Wow. What a terrific show this was. Jay Baer: Phil Moad is the director of digital, head of all digital things at the Calgary Stampede, which is I think the largest rodeo in the world. It is millions and millions and millions of attendees, which is hard to even fathom. And he really dropped some knowledge in the show. Adam Brown: He really did. You would think, "What can I learn from Calgary Stampede?" But when you're a brand like that where you have literally millions of people, you have hundreds of thousands of fans, dealing with thousands of volunteers that come in for a 10 day event and having to train and empower them, there are so many kind of nuggets of wisdom that Phil Shared with us. Jay Baer: Hey. You know what else is really interesting about this particular episode, I thought, is that you can really tell how much passion Phil has for this organization and for his role. He's really into it and that's always amazing to listen to. Adam Brown: It is. And I think, a kind of a teaser here, you have to stay until the end of the podcast because Phil tells a story of his upbringing. And when you hear that story, you understand that passion and that enthusiasm. Jay Baer: Yeah. Do not cut this one off early. It is really something. The other thing, I don't have this officially calculated, but I'm going to say this is, A, the only time we've ever talked about friend popcorn on the show, and without question the most references to mini donuts in one episode. Jay Baer: So you can look forward to that. Adam Brown: Was it just me, or were you hungry during this taping? Jay Baer: Oh my God, yeah. And we were recording this one midday and I am seriously ready to eat an entire pizza and watch a rodeo. Before we get into our special conversation with Phil, just a quick reminder on the sponsors of Social Pros. Adam's organization, Salesforce Marketing Cloud, one of our long time sponsors, thank you to them. They've got an amazing eBook that you should download as soon as you finish listening to the show. It's called The Business Leader's Guide to Becoming a Social Business. 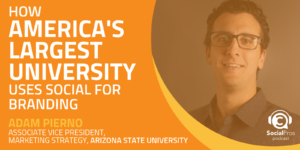 It tells you how to assess your current social media team, how to track missed opportunities, how to position social for real success in your organization, how to analyze the results of your social. Also coincidentally, some of the topics we've talked about with Phil on this episode. You can download this free guide at bitly/socialbusinessguide. That's bitly/soccialbusinessguide, all lowercase. If you miss any links, go to socialpros.com. And for a second week, our new sponsor, HYP3R, is back. HYP3R is a location based marketing platform. Their CEO, Carlos Garcia was a guest on the program a few weeks ago. If you didn't listen to that episode, go back and listen to it. It was really great. It really was. HYP3Rs are super interesting software platforms. The way it works is, you sort of draw a box around your location. Calgary Stampede would be an amazing customer for HYP3R, as a matter of fact. You draw a box around your location and then the software surfaces to you all the social content that people are posting, even if they don't mention you or tag you in the post. So if it's geo tagged, but they don't mention you, they don't at you, you also see it. So it's great for customer service. It's great for insights, and you can actually do it for competitors as well. So let's say our special guest, Phil, wanted to know what's happening at the Austin Rodeo, he could use HYP3R to draw a box around the Austin Rodeo and see what people are talking about there. Pretty slick stuff. So if you haven't seen a demo of HYP3R, you definitely should do this, especially if you run anything social for a place, a destination. Some of their customers include every single Marriott Hotel in the whole world, which is saying something, every single 24 hour fitness location in the whole world, Norwegian Cruise Line, Hard Rock International, The Golden State Warriors, and a bunch of others. So if you do social for a place, definitely check out our friends at HYP3R. It's spelled H-Y-P, the number three, R. H-Y-P, the number three, R. Go to hyp3r.com/socialpros to learn more. We do that. Go to hyp3r.com/socialpros. 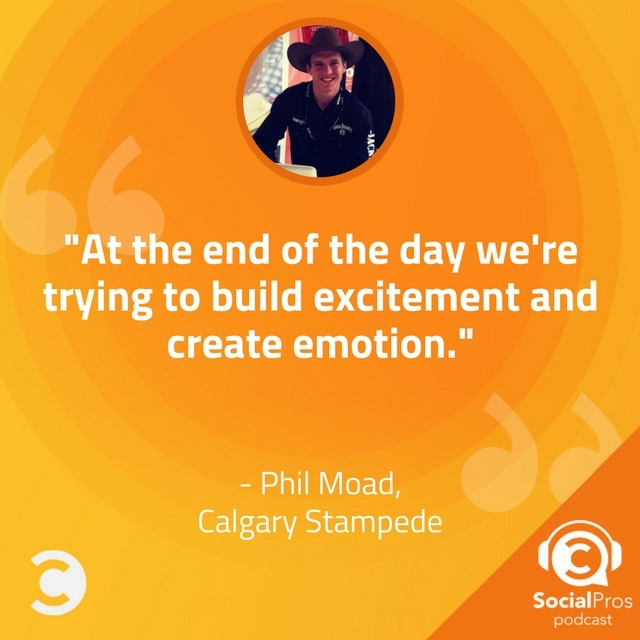 Let's get into this week's conversation on Social Pros with Phil Moad from the Calgary Stampede. 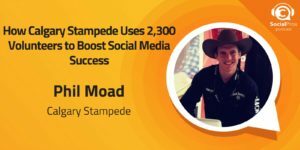 Phil Moad, digital marketing lead from the Calgary Stampede is our guest this week on Social Pros. Phil, welcome to the program. Phil Moad: Hey Jay. It's great to be here. Jay Baer: Now I suspect that some of our listeners do not fully understand just how amaze balls and crazy Calgary Stampede is. It ain't just a rodeo, baby. It is a phenomenon. Imagine Woodstock with cattle, and it's kind of like that. So maybe you could describe the full grandeur for the benefit of the Social Pros audience. Phil Moad: Yeah. It's hard to sum up in just a couple sentences. But really, the city becomes the Calgary Stampede. People who would normally be wearing suits and ties to work are now wearing cowboy hats, boots, and jeans. The park becomes this kind of massive playground of midway games, rides, crazy foods, music. And then of course, we have our iconic rodeo, GMC Rangeland Derby and Grandstand Show. Jay Baer: What is your sort of attendance for the stampede? I know it's some staggering figure. Phil Moad: Yeah, in the millions. Jay Baer: Millions, ladies and gentleman, millions of attendees. Phil Moad: Yeah. We at one point have around 150,000 people down on our park, which is kind of in the heart of Calgary. Jay Baer: Remarkable, absolutely amazing. So you have this huge event every year. And then you also have smaller events throughout the entire year that you support from a digital perspective at some level. Yes? Phil Moad: Yeah. We're best known for kind of those 10 days in July, which are the Calgary Stampede, The Greatest Outdoor Show on Earth. But throughout the year we host trade shows, conventions, meetings, weddings, gatherings of all kinds. We really are a year round gathering place for the community. 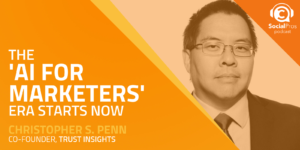 Jay Baer: And so when you're thinking about the role of social media to support all of that, is it an acquisition mindset, like we need to sell tickets to the big July 10 day sprint? Or is it more retention, let's just make sure people have a great time and they come back year after year? How do you think about the role of social? Phil Moad: Yeah. It's kind of a difficult one. And I like to break it out between kind of the 10 days and the year round. For the 10 day, it really is about creating excitement throughout the year, getting people ready to come down to The Greatest Outdoor Show on Earth and have fun. So I kind of put it into mini donkeys, cotton candy, rodeo, chuck wagons, that kind of thing. But then when we think about kind of the year round events as well, there is a support that we need to provide some of those parties that are coming down and hosting their event on park. So we kind of switch gears, depending on the time of year. As we ramp up to July, we start getting things ready for those 10 days, but then kind of throughout the year we're also supporting all of these smaller initiatives that are happening through our park. Adam Brown: And obviously a lot of your posts are there to drive, as you said, people to the show, people to your other events. I do know rodeo, much like any other professional sporting or athletic event, you've got a lot of sponsors and things like that. Do kind of mentioning and cross promoting your sponsors ... I know when you just opened up, you mentioned a vehicle manufacturer, GMC, as being I think, a primary sponsor. Do you have any requirement or kind of encouragement of your digital marketing team to put those brand names into both your paid and organic social posts? Phil Moad: We do. I wouldn't say it's so much something that we have to do. It's something that we like to do to kind of elevate the exposure that our sponsors get. We are working on more digital sponsorship assets that we have available for sponsors to kind of tie onto. But a lot of those sponsors, it is just something that when we talk about the GMC Rangeland Derby, we kind of mention them as well. Adam Brown: You also mentioned that those eight days ... It's eight days. Right? Phil Moad: 10 days for July. Jay Baer: Most people can't remember at least two of them. Adam Brown: That's right. There's a lot of adult beverage and a lot of excitement and enthusiasm. Heck, nobody sleeps during those 10 days. Jay Baer: Yeah, and you've got 355 days where you're not having an event. That's a challenge. Right? Adam Brown: There you go. Phil Moad: Yeah, so I always look at it as our social media accounts, we are lucky enough to get to facilitate those conversations, but at the end of the day they're kind of owned by our community. If we're not sharing the content that they're kind of expecting and that they want to see, then they're not going to follow us. So that's kind of the route that I take. Is something going to engage our audience? Is it something that's going to spark a memory of something that they did in July with their friends or their family? And is it going to make them kind of relive those moments and want to come back again next year to experience more of them? So we really do try and space our content out throughout the year so that we are kind of retelling those stories from last July and remind people about how much fun they had. And especially during winter, it's always great to kind of get reminded of sunshine, long days, beers on the patio, versus kind of looking outside and seeing a foot of snow. Adam Brown: One of things I think is most remarkable is, you mentioned in our pre-show that you're still seeing organic content waning a bit. And aren't we all? But you're seeing 15% to 20% kind of engagement. And in some cases, 100% and over. That is beyond remarkable. What is that secret sauce for getting people to not only interact, but engage and share your content and get numbers of 100%? Which, I don't know of anybody who's doing that unless they have three Twitter followers, and each of those Twitter followers is liking something. Phil Moad: Yeah. That's their mom, their dad, and their brother. Yep. I think we're really lucky. We have an audience that absolutely loves everything that we do. We have some amazing content to share and I think that it's kind of just making sure we have the right content in the right place at the right time. And then all of a sudden, this kind of magic happens. We definitely try to look at what has performed well in the past. I use kind of the three minis. There's mini donuts, mini animals, and kids, basically. And those are kind of the trifecta that usually perform really well with our audience. So we try and make sure that we're always kind of looking at: How are people engaging? And what kind of content they like to engage with. Those ones that have kind of sparked fire and taken off, we definitely look to some of our partners who've helped with some of those things, like our destination marketing organization, our sponsors, some of the other organizations that we're close with. When they share that, sometimes that reach can get just kind of out of control in some ways, so we're really still quite lucky to have that problem. I guess. Jay Baer: On Facebook you've been using more video. Is that an intentional strategy or seeing greater engagement there? And I also wanted to ask you on a similar topic. Do you do much live video during the actual stampede in the summer? Phil Moad: Yeah. I'll do the Facebook Live on first because that's a bit easier question to answer. We have. We've played with it. When we look at the drop off of people actually watching the video kind of halfway through until the end, we actually found that Facebook Live wasn't performing as well as the kind of polished videos that we would create through our broadcasting and then post, so that's kind of where we tried to focus a little bit more on those finished pieces of content. I think that really, at the end of the day we're trying to build excitement and create emotion, and it's really hard to do that in kind of that Facebook Live platform. So it's definitely not something that we're not looking to do lots of. But we just didn't see the success that I quite was thinking we would see. Now our three second impressions and whatnot, they were through the roof, but then that drop off was just far too steep for us. And some of the best performing content we've had is that really polished video content that the team has worked on for weeks, or months, or even a year leading up to and really found kind of those key ingredients that spark excitement and emotion both in one video. And those are what really work well. For your second question around more video, definitely. It's definitely strategic that we're trying to post a lot more video. I think it's just, at the end of the day, our product is so image heavy, all of those experience that we're sharing, they're so attached to, like I said, the emotion that people feel. That little kid biting into a mini donut, we can all kind of feel what that little kid is feeling. And I think that video just tells those stories a little bit better. Right? The difference between you seeing a pancake and you seeing maple syrup getting poured all over a pancake is going to invoke a different emotion, and that's really what we're trying to do at the end of the day, is kind of just stir people's emotions in a good way and get them excited. Jay Baer: In addition to video, you of course have a very photo rich social presence across all platforms, given all the things that happen at the stampede. How much of the photos that you share in social are created, or taken, or produced by you and your team? And how many of those are user generated content that you're partnering with actual fans and attendees on? Phil Moad: Yeah, so I think it's kind of like 70/30 throughout the year. So 70% is content we've created. 30% is user generated. We were really lucky. We have a great broadcast team who brings on some amazing photographers throughout the year, so we get a lot of different perspectives on stampede. We also try and bring down groups and families that we can kind of use as models. Last year there was a really great family. They had two twin boys and a young daughter, and they were just ... We've been using them everywhere. If you look through our feed enough, you'll start to notice these three kids, who are just so photo ... Just so great at getting photos taken of them, and they're just having so much fun, so we really use them. On the user generated side, it's something that we want to dive into a lot more. One of the big things we run into is, we're 10 days. After those 10 days, there's a lot of things happening on park, but it's not the excitement. It's not the mini donuts. It's not the sunshine and the rodeo and everything. So we really need to capture those thousands of photos in those 10 days, get permission, log them, and then get them kind of ready to schedule throughout the year. So in the fall, we'll usually do a throwback Thursday, but you can only do that for so long before people start to kind of get bored of it. So kind of leading up to, during, and post stampede time, as we call it, we definitely try and rely on that user generated content just to get those different vantage points and stories. Adam Brown: And Phil, to that point, how are you securing rights for using people's likenesses and their actually imagery in some of your social marketing material, paid or organic? Are you using any certain tools or are you kind of doing it the old fashioned way, replying back and saying, "Can we use your photo?" Phil Moad: Yeah. I'm a little bit embarrassed to say last year we did ... We had a spreadsheet with links, permissions, and I had someone who would have to go check them all every day to see if people would reply. We are looking at tools right now. Our Destination Canada has partnered with CrowdRiff, so we're kind of looking at what opportunities there are there to utilize some of the tools that they have. At the end of the day, one of the big things that we struggle with in the digital space is, Calgary Stampede is a not for profit organization. A lot of people don't know that. So if we're spending money on fancy tools and things like that, it's money that's not getting reinvested into the community and to our youth initiatives and things like that, so I really try and balance need versus want. Would a shiny tool make us work a little bit more efficiently? Most definitely. But is it worth the cost of taking money away from potentially giving back to the community at the end of the year? Adam Brown: I love, Phil, that you mentioned the sense of community and everything that you're trying to do around that. And I think you're in such an unusual and exciting situation that you have so many fans and ambassadors of your brand. But inevitably, like almost any company, you've got your group of kind of determined attractors, of people kind of from the animal advocacy side of things. I'm curious kind of how you work with these communities. Have you found there's any way to have kind of a reasonable dialogue with those passionate people that may be on kind of the other side of the both proverbial and literal fence? Phil Moad: Yeah. I think it's a scale. Right? I think there's people who want to have an educated dialogue with us, and are just curious about some of our practices and things like that. And then there's kind of what I would call, unreachable cynics. They're set in their ways. Nothing we say or do is going to change their mindset. And in a lot of the research that we've done, they're kind of unreachable in a lot of different ways. It's not just kind of within what may be rodeo, or other events, or things that we have going on. So I've been in this role for seven years, and when I started I would say it was a bigger hurdle for us to overcome seven years ago because the community that didn't support what we do was so vocal. And the community that really supported us, which is a huge community, wasn't being vocal in return. So we spend a couple of years actually kind of activating the community, educating on what we do, providing resources so that if someone did want to respond to a comment, they could have a video asset that explains what an event is, or what it's run, or how it applies to kind of the western heritage side of things. So we spend a lot of time working with a lot of other really passionate groups to try and kind of build up that following we have on our social media accounts. And I'm really lucky now in that, if someone comes onto our page with something negative to say, one of our community members or supporters has gone on and responded, usually with a really great response, before I can even get to it. So it's kind of a nice problem that we have now, where our community is actually coming to our defense saying, "Stampede, they love their animals. They take really great care of them. And here's the proof points that they have for that." Because at the end of the day, without our animal athletes, we're just another fair that comes through town. Right? Jay Baer: Do you do the same thing in ratings and review sites? I suspect that you get both positive and negative commentary on a tripadvisor.ca and places like that. Are you responding to those? Phil Moad: We do our best. I think that for me it's a lot of, we accept the good and the bad. We'll hide the ugly, but we'll always respond to the incorrect. So if someone's putting out information that simply is wrong, then we'll go on and we'll give them more information about what is actually happening or what the facts are. But for the most part, we kind of allow people to have their opinions. I think that's kind of what makes Canada great, what makes the world great, is everyone's allowed to like different things. And if they don't like our rodeo, then that's kind of okay at the end of the day. If they want to come down to Stampede Park, they can do a ton of other amazing things that don't involve rodeo. But if someone is a big rodeo fan, then come on down. Right? 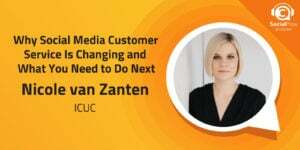 Jay Baer: How much are you using social now during the stampede for social care? Somebody saying, "Hey, I can't find a bathroom. I'm sick. Or I don't know where to park." And they're using Twitter, or Facebook, or even Instagram now in some cases to reach out to you and your team for help. Phil Moad: Yeah. It's become a huge guest services tool for us. It always has been an important piece because people always turn to social first to try and find their answers. In the past, Twitter was huge. We would get hundreds to thousands of messages per day. Like you said. Where's the washroom? What time is this show happening? I lost my wallet. Where's lost and found? I had an issue with a ticket. I'd like to log a complaint. Whatever it might be. It was really interesting this year. Facebook kind of created that automatic chat pop up and I thought it would be great for us to have that automatic chat saying, "Hey, how can we help you during the 10 days?" Little did I know how many questions would come in. We were receiving hundreds of questions, complaints, concerns, every day. And our team was kind of overflowed with all of these great questions that people came in with. So I think that it is becoming more of a guest services tool, and we're kind of working with the traditional guest services team that would typically answer a phone or an email to make sure that we are consistent on our messaging, our best practices. And then also, if we kind of can split some resourcing to help answer some of those harder questions, because we get some really weird questions that my team just can't answer on social. You have to go and talk to three different people to get kind of more information. And then the decision doesn't actually land with us on whether something can or can't happen. So we need to put a lot of resources behind kind of trying to solve a lot of these people's questions. And that's not just during 10 day, but throughout the year. We have people wanting to be vendors. We have people, musicians, wanting to perform on our stages. We have people wanting to showcase their art. We have rodeo competitors who want to try and get in. We have youth who want to try and apply for scholarships. So we're kind of a catchall for everything within the organization and we have to be a little bit knowledgeable about everything, or at least know where to go to find the correct answers. So I'm really excited to see kind of how that's going to continue evolving as people become more savvy on social and kind of start using that a little bit more for guest side of thing as well. 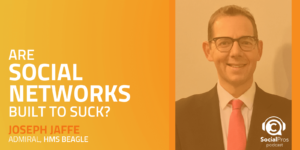 Adam Brown: Well Phil, I think as Jay and I have seen with our hundreds of interviews, that seems to be the trend, that social is no longer kind of being owned by the marketing and the communications team. But social is truly being embedded into the fabric of an organization, or a company, or in your case, the Calgary Stampede. Which kind of leads to my next question, you mentioned you're working with the traditional customer service people. Obviously, you've got seasonal kind of aspects where you have to ramp up very quickly. 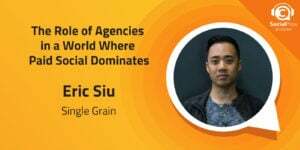 How do you work kind of with different agencies in that space? You're working with advertising and social and digital agencies, seasonal, and again, how is also your internal team structured? How many kind of people do you have during those 10 days versus the other 355 days of the year? Do you have to work with a lot of volunteers? Curious kind of how this whole organization grows and expands and contracts during the different seasons. Phil Moad: Yeah. We are a volunteer run organization, so we have 2300 volunteers. They're on our board of directors. They're on several different, many different committees, many different subcommittees, all with different kind of tasks and goals throughout the year. And then we have this kind of 1500 people that are employees. And those are kind of our year round. But then as we get into June, July, we ramp that number up to 3500 employee. So yeah, there is a lot of ... I don't envy our recruiting team as they try and kind of expand the workforce in basically a couple of job fairs, to be honest, in June. But we really work closely with all the departments throughout the year to make sure that our workflows and our knowledge bases are really solid. They've been updated. If there isn't information, we know exactly what date that information is going to be released so that whether you're guest services, reception, social media, or just someone on a marketing communications team, you can go into our One Note document and you can just kind of search tickets. And you can find all the information on everything about tickets. And you'll even have some answers to questions that we regularly get. And we try and build that knowledge base each year. So if people are wondering about where the deep fried popcorn, whatever it might be, is, if someone gets that question, they can answer it. Adam Brown: Hold on. Is that a real thing? I just wanted to jump in there real quick. Is that an actual item? Phil Moad: I say, "At the stampede, we can deep fry anything," so it could be this year. That one, I totally made up, but I'm hoping that someone can make it happen. Adam Brown: Okay. I was going to say, deep fried popcorn, you had me at that. All right. Please continue. Phil Moad: Yeah. So we try and build on this knowledge base, and it really expands and contracts throughout the year, depending on what information we may have or what information we may know is coming. So it's really important that kind of our house is in order before we bring on all of those June, July employees and start getting them trained, because at the end of the day, not all the information can sit in one person's head, and you need to kind of make sure that if someone comes in and doesn't know a single thing about the Calgary Stampede, and they start working here, you need to be able to ramp them up in two to three days so that they are an expert and they can go out on park and answer almost any question that someone might have, or at least know where to get that answer at the end of the day. On the volunteer side, they're actually a huge asset for us around social media. So my role, I kind of manage the day to day run of show for the corporate channels, as we call them, so everything that's just Calgary Stampede. But then all of our volunteers, they support us on a variety of niche accounts. We have under 100 active. Some are more active than others. Some are larger than others. But we really rely on them to kind of tell those niche stories because at the end of the day, there's too many stories for us to tell on one channel. We would just burn out our entire audience in a day, probably, if we started to try and tell everything that's going on. So we direct people to these niche agriculture accounts, or rodeo accounts, or chuck wagon, or some of our youth initiatives as well, where people can kind of get a more larger story just about those specific programs that we have running. And then we can use them as kind of this content team that we can pull kind of those key stories that we want to spread out to the rest of our larger audience and kind of share or retweet whatever it might be. During the 10 days, I guess just to kind of build on your question as well, so year round I'm a one man team. I oversee social media, the websites, and our eMarketing. I work on a marketing team. We have five other people including graphic designers and our marketing specialists who kind of help support our organizational initiatives and some of our other business teams. We work really closely with our communications department, obviously me especially because a lot of the stuff they are creating is going to need to go out via social. And that's kind of another team that's part of our division as well. When we get into that May, June, July side of things, my team ramps up to two seasonal coordinators, so they come on. And really, they're there to help with the workload around scheduling content and responding to questions that we might get via social media, as well as providing some support on our website needs and things like that. During the 10 days though, we also rely on a social media subcommittee, and they bring on volunteers. So someone could come in for two hours and they'll just find ways to engage with the audience. And it's actually, I would say it's the most fun role that you can have during the stampede because really, your only task is to share the excitement that other people are already posting. So you're, "Awesome photo. Hope you had a great day. Oh, how great were those mini donuts?" It's really just engaging in a fun way, so we rely on them to kind of build that conversation that we have with the community so it's not just people posting their content and tagging us. We're actually actively responding and sharing their excitement and making them happy. Oh, I'm glad I posted that photo and stampede acknowledged how great it was. So we do a lot of that during the 10 days. Adam Brown: Do some of those people start off as sort of regular attendees, or even volunteers, but then because of their social skills or their following, do they kind of become "influencers" for you? And/or, do you actually do formalized influencer programs where you work with famous Calgarians or other folks and say, "Look. We want to make sure you do a takeover," or something along those lines? Phil Moad: Yeah. We really rely on kind of what we call the Stampede Family, which is our volunteers and employees, to be out in the community, be ambassadors for the brand, but also kind of build that community spirit within Calgary. So we want all of our employees and volunteers to feel empowered and proud to work with the organization and kind of share that story. So we do heavily rely on our volunteers, who are at pancake breakfasts and parades and all kinds of shows. They're out there. We have a show band. We have a dancing troupe. They're all kind of out spreading excitement for stampede and that community spirit, as we call it. On the other side of things, we do work with local influencers. Our earned media is a huge undertaking each year because at the end of the day, Calgary Stampede is a citywide celebration. It's not just our park. And I think everyone kind of wants to be a part of it. That is the talk of the town. You're not talking about the weather in July unless it's raining. You're talking about what's happening at stampede and what pancake breakfast you're going to be attending. And so we get a lot of what I'd call goodwill, I guess, where radios, newspapers, influencers, they all want to be sharing those stories and they all want to be a part of that conversation. So we're really lucky that we have some amazing partners that we can work with, to kind of amplify the voice and tell our stories in different ways. On just the influencer side, we do work with a lot of local bloggers, Instagram photographers, things like that, who can either come down and share an experience from their point of view, or we work with on an upcoming event where it kind of aligns with what they're doing. It's really case by case on what the message we need to get out is and what people's target audiences. Adam Brown: I think it's so fascinating, Phil, that what you're doing kind of sits in between kind of your traditional marketing, our traditional PR activities. By bringing in not just these volunteers, but these key influencers that you've identified, and having them come to the event and hopefully see that excitement, see that enthusiasm, and share it. That is, really I think, kind of the future of marketing certainly here in 2018. I'm curious kind of your measurement and how you measure the success of these types of things. Obviously, some of my tools including Salesforce Social Studio have sentiment analysis. You can kind of understand at least the positive or negative. But in hearing you talk, one of the things I would think that you would want to mention or measure, is excitement. What's that excitement quotient for how people are excited about the event and about the rodeo and everything you're doing? Any way that you're having to kind of measure that? Do you kind of look for exclamation points on the ends of posts, or superlatives? But how are you measuring kind of the success of what you're doing so that you can show the leadership at the Calgary Stampede that yes, social activities are working. They're driving better sponsors. They're driving more tickets. And they're driving maybe even a better caliber of athletes who come each and every year to the rodeo. Phil Moad: Yeah. I think it's a really hard question to answer because we look at a huge number of different things. We'll look at engagement, impressions. Engagement rate is one of my favorites to look at just to see. Is this something that's resonating with the audience? And with engagement comes those impressions as well. We just undertook a three year social listening report, so we kind of just got preliminary data back on that from 2015 to the end of 2017, on what the sentiment around the organization is. In the past, when I first started, we were working on trying to solve it, but it's not, again, because we're a 10 day festival, it's not an easy thing for us to kind of measure what the sentiment is. And the conversation really can be worldwide. It's obviously heavy in Calgary and Alberta, but the conversations can be happening about how I want to come to the stampede, or I won't ever go to the stampede. Those conversations happen in Australia and everywhere. So it's really interesting for us to dive into the social listening reporting that we're doing and looking deeper at what has been the trending conversation around some of our marquis events like rodeo and grandstand show and fashion. And what are some upcoming conversations that we might want to look at and be a part of moving forward? So we look at kind of everything. I'm really lucky that our leadership team is a huge believer in what we're doing and they, I would say, it seems to me like they trust me to make any decision that I feel I need to make. I always use the term trust, but verify. So no matter what, the team is going to trust me, but they're going to ask for a little bit of verification to make sure that my ideas are sound. So we're really lucky in that. When I'm sending my reporting up, I'm completely honest. Yeah, we had a down week because of X, Y, Z, whatever it might be. But it's not like, oh, we need to fix that. It's okay to have a week where we're not ... Everything we're putting out isn't the best content that we've had in the world because sometimes it's a little bit of luck too. Right? Yeah. Does that kind of help answer the question? Adam Brown: Most definitely. And I love how you're using social listening insights, not only to tell you kind of what's going on in social, but to use that as kind of an example and a reference to kind of what everything else in marketing and communications and awareness for the Calgary Stampede is resonating. Jay Baer: Yeah. Things that happen offline even are going to show up in social. Social is sort of that heartbeat, that pulse, of the organization overall. And a three year listening project is no joke. Phil, I wanted to ask you one question real quick before we get into the last questions we ask all of our guests. If you had an unlimited budget, you could do whatever, what would be your sort of dream campaign or activation for the stampede? What's your moonshot wishlist item? Phil Moad: Big question. I don't know that I've ever actually thought about what that would be. I think definitely for me, something that can involve everyone in the city. I think that people always ... When I talk to people, my friends and family, they either love the stampede and they're so excited that I work there and they want to come see me and see what I do, or they're, "No, I don't like the stampede. I try and go on vacation every year because it's too crazy." And I think that people who are in that mindset, it's just because they haven't been in a while and they have that ... Like, when you say something, it becomes true to you. Right? So if you're not actually visiting, you're not going to know what you're missing at the end of the day. So I think that really involving the community more is kind of where I would like to see a really ... The Calgary Stampede, we have this vision statement that we're a year round gathering place for the community, and I really ... I love that statement because it really is so community centric. We really need to be putting out events and shows and doing things that the community actually wants us to do. And I think that's why working for this organization is so awesome in that, we're really doing what Calgarians, as a whole, would like to see us do. Obviously, there's going to be some people who disagree with the things we're doing, but that's kind of with everything. So I think some way of engaging every Calgarian to kind of welcome the world would be my idea of the perfect campaign. Jay Baer: I love it. Okay, you've got to write that up and then march right in there to the managers and be like, "Look. We're going to do this." Phil Moad: Yeah. I'll just forward this podcast to our CEO and he'll make it happen. Jay Baer: I mentioned it on Social Pros. It has to be done now. Phil Moad: There you go. Jay Baer: Or go to the transcript on socialpros.com. It'll be that easy. Phil, I want to ask you the two question that we ask every single one of our guests here on the podcast. The first question is: What one tip would you give somebody who's looking to become a Social Pro? Phil Moad: Look to audiences. Think that's kind of the best thing I can ... We have our business objectives, but if something doesn't align with our business objectives, or sorry, something doesn't align with what our audience that it currently exists is, it's not going to work, not matter how hard we try and force it. So I think definitely looking at who your audience is and who you want your audience to be and kind of trying to focus on building that out is where I'd have people focus the most. Jay Baer: Yeah. I think more important than ever, relevancy is the killer app. And people tune out things that they don't love, and even with the algorithms now, if they start tuning you out then it's real difficult to get them back. That's for sure. Last question for you, Phil Moad, Digital Marketing Lead at the Calgary Stampede. If you could do a Skype call with any living person, who would it be and why? Phil Moad: Well, it's interesting that you asked that. I've been a big fan of Jay since I read his book, Utility, in 2013, so just being a part of this has been kind of a very interesting experience for me just because I learned a lot from that Utility book. And it changed the way that I looked at marketing today. But I think if I could Skype call anyone, maybe Trump. I don't know. I would just love to kind of get to know him person to person. Jay Baer: That is so crazy. That is two weeks in a row on the podcast that we've had Donald Trump to that question. That is remarkable. Did not think that would happen and absolutely a fascinating individual and probably a heck of a Skype call. Phil, real quick before we let you go. I want you to just describe to the audience your story of living on the beach in Mexico for half your life. That's not something that most listeners probably pegged you on, and that you went to only online school for most of your life, and grew up teaching people how to kiteboard and stuff. So tell that story real quick before we get out of here. Phil Moad: Yeah. It's kind of surreal for me to even look back on how I got to where I am today. But basically, when I was six years old, my parents, they owned a small clothing company where they handmade coats and shirts and shorts and pants and things, and they would sell them at farmers markets across Alberta. And in the winter there's not a ton of farmers markets, so it was kind of ... They weren't making a ton of money, so they decided to pack my brother and I up into our RV and we drove to the tip of the Baja, a little town called [inaudible 00:38:12]. And at first we stayed there for, I think four months. But then every winter we started going down there, and we would stay exactly six months, which at the time I believe it was health care would ... Something would happen with Alberta healthcare where you would lose it, so that was kind of the threshold of us going down there. And when I got into, I think it was grade six, it became an issue for me to take all of the coursework that the school would provide over those six months and kind of do it myself. So I was one of the first ... Well, I was the first student to graduate from an online program, so from grade six to grade 12, I only set foot in a classroom one time, and it was to write the provincial exams. Everything else was done on the computer. And I think that's kind of what gave me the passion and the experience to work in this space because I had to do a lot of different problem solving when it came to education. Living in a trailer on the beach, we didn't have access to internet. And when I started doing that in grade six, floppy discs were still a thing. So I'd have to go to the local internet café, get all my coursework for the day on a floppy disc, take the floppy disc back to our trailer, plug it into the laptop I had, and complete it. And then bring it back the next day to email it to my teacher. And it was interesting to watch that technology evolve just while I went to school, because by the time I got to grade 12, if I had an issue I could live chat with my instructor. I could have a video chat. We had regular check ins and things. So it was pretty fascinating and also gave me a very different way of learning because I would do school kind of 9:00 until noon because that's the only time that I needed to actually get my coursework for the day done. And then from noon on, I was kind of free to go and run around the beach and the streets of Mexico and kind of meet some friends and meet some locals there. I actually had time to do both schooling in Mexico, so I went to school at the local school full-time, and also do my internet schooling for a couple of the years when I was a little bit younger. So it gave me an opportunity to meet some friends and try and learn some Spanish. I'm really blessed, to be honest, that my parents made that decision and they kept pushing us to make the system work. Looking back, I wish I could smack myself. But when you're 16, 17, picking up and moving for six months isn't ideal and there was times when I actually thought I didn't want to do it. But thank goodness my dad said, "You're going to look back on your life and this is going to be kind of one of the coolest things you'll have ever done." So yeah, I'm really happy that I'm able to have done that. And then to add onto that, kind of the reason I got into this role was actually, I met a gentleman, Rodney Payne, he's now the CEO of Destination Think. I met him on the beach in Mexico and he gave me an internship in his company. And that's kind of how I evolved in the digital marketing space and social media space to really get me to this role at the end of the day. Jay Baer: Wow. That is just amazing. It is truly, truly amazing. You need to start your own internship program now for young professionals who want to get into digital, but you do it on the beach in Mexico. It's the Phil internship in the Baja. Phil Moad: I love it. Yeah, I would be happy to do that. Jay Baer: I'll co-promote that with you. It will be Phil plus Convince and Convert. We'll make it happen. Phil, thank you so much for being on the show. It was terrific, as we expected. I've got to find a way to get down there this summer. I keep saying I'm going to do it. This may be the year where I'm going to just pop into the stampede and we're going to do it up big. Phil Moad: Please do. I'd love to give you a tour. Jay Baer: I would love to do it. Ladies and gentlemen, make sure you go to socialpros.com to get all of the stuff that Phil talked about, and of course, all the other episodes we've ever done here on the program. On behalf of Adam Brown from Salesforce Marketing Cloud, I am Jay Baer, founder of Convince and Convert, and this has been Social Pros.